We’ve got until this Friday at 4:30 PM EST to fund The Black Glove and keep it from being cancelled. Just four days left to raise more than 70% of our ask! We’re still fighting hard because we believe in The Black Glove and don't want it to be cancelled. We’ve been funding the game completely out of pocket for months, but this is as far as we can take it on our own. We need a successful Kickstarter to ensure its survival. Here’s what we’ve been doing and what you can do, too. Over the weekend, Irrational Games’ Ken Levine sent over the following video testimonial to help us spread the word. We spent years working with Ken, learning how to make story rich, immersive environments like BioShock’s Rapture and BioShock Infinite’s Columbia, so it means the world to hear he believes in us and our project. He suggested that we come up with a simple statement to boil the game down to its essence and grab people’s attention. 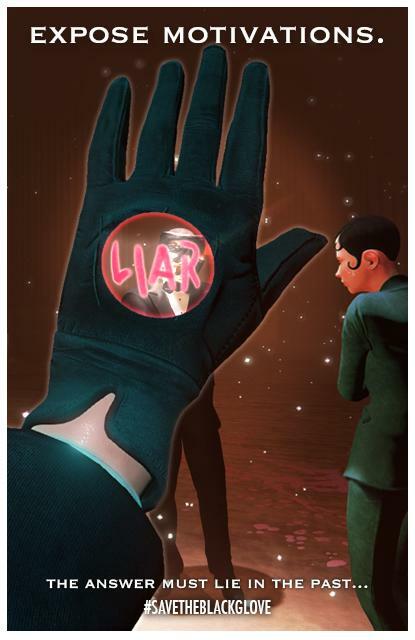 We’ve assembled several new shots that illustrate some of the core gameplay in The Black Glove. Here's a peek. Click here to see these shots in more detail. 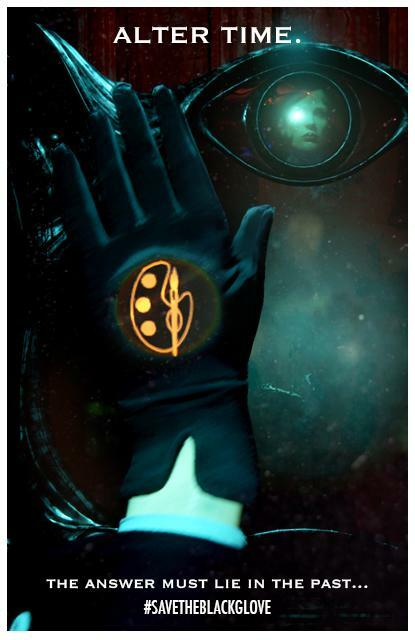 These screens show how you utilize The Black Glove as a metaphysical investigator to discover secret messages, reveal character’s hidden motivations, and quell the minions of The Space Minotaur. In The Black Glove, you explore the story-rich environments inside The Equinox to gain information on how to change the past. The narrative is tied directly into gameplay and YOU decide the outcome. If you have further questions about the moment-to-moment experience, you'll find we've updated our article on gameplay here with even further detail. As you know, most Kickstarter projects receive most of their funding in the first and last weeks. Camoflaj’s Republique, specifically, was incredibly able to raise several hundred thousand dollars in its last three days. Let’s look at the numbers. At the current average pledge per backer ($34), we’d need to add nearly additional 12,000 backers to the project. More than 200,000 people viewed The Black Glove video trailer so far. If we can lure just 6% of them back to give the game a second look and back the project, we’ll make it. BioShock series’ creator Ken Levine endorsed The Black Glove. If we can tap into .005% of the more than 25 million people who have played games in that franchise, we’ve got it. We’re working hard to get word out to a larger audience through the press and on social media, but need your help in these last few days. If someone says there’s no way the game will make it, then there’s no harm backing the project, right? If they ask, “What do you do, if there's not any shooting?”, point them to this latest update and screenshots so they can see for themselves. 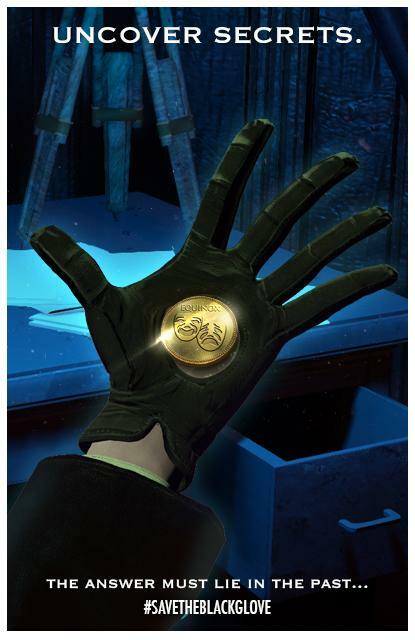 If they say 550k is too much, let them know we asked for what we needed to guarantee we could ship The Black Glove with 6+ hours content for $20. 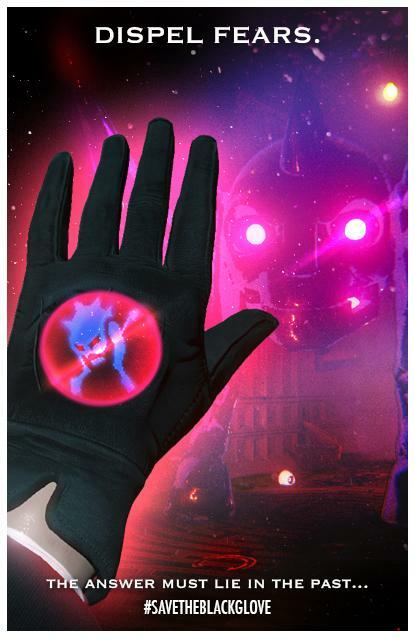 Tell your favorite YouTubers, press outlets, and blogs how much you want The Black Glove to get made. We’ll continue to do our part as well. For instance, we’ve seen significant interest in The Black Glove from our European neighbors, so we’ll say right now that we'll find a way to add French, Italian, German, and Spanish translation at or soon after release. You felt $35 was too much for the game and digital artbook, so we added BETA ACCESS for PC/Mac/Linux to the $35 tier and above – a marked value over the retail price. You asked for new tiers with PHYSICAL REWARDS, so we added stationery and a matchbook from The Equinox, a limited edition art book, and a signed and number art print. You said you’d like to help devise and voice a short sequence in the game. We created the SURREAL ENCOUNTER Reward Tier. You asked for PLAYSTATION 4 support. We found a way to make it happen! VR COMPATIBILITY for the Oculus Rift and PS4 Morpheus. LIFETIME MEMBERSHIP where you’ll get download codes for every game and all downloadable content we ever make on the platform of your choice, plus all previous rewards. These are all things we’ve done to help entice you into backing The Black Glove at a higher tier. Currently, we have 4600 backers pledging an average of $34 each. Roughly 3000 of those are at the $20 level. By the time that Republique finished, their average pledge per backer was $48. That’s the second way we can all ensure that The Black Glove is successfully funded this week. If we can raise our average pledge per backer to $50, then we only need 6400 additional backers instead. At the end of the day, if this is how much we’ll fight for our Kickstarter and to make our backers happy, just think about how hard we’ll work to make The Black Glove an incredible game. Again, we have just four days left. This will be extremely tough to pull off, but everything’s possible with your help. As Camoflaj’s Ryan Payton said last week: YOU CAN DO IT!!! Spread the word! Get #savetheblackglove trending on Twitter today! Michael L. Palmer III, Bryan Sim, and 25 more people like this update. I usually view Kickstarter on my phone, where a project page is just the trailer, links to the description and updates and the sidebar of reward tiers. The full page shows the much prettier rewards list where it's clear that you get beta access at $35. For everyone checking on their phones though, it doesn't look like that's part of the package. If possible, you should change how that shows up in the sidebar, you'll probably attract more of the people viewing the mobile site. Remember that there is also EXCLUSIVE in-game content at $60 (along with everything else)... Throw in another $15 after that and you've got a limited T-Shirt, plus every other reward combined up to that! Zow! Decided to show some enthusiam and upped my pledge to the $35 tier.